The cloud is virtual and therefore does not require any hardware of your own to deliver a service. Cloud technology can deliver that service to you, without having to install anything or have it on a server at your business. This is something that you can access remotely, or via the Internet through your web browser. Offsite, secure third-party data centers can manage all your cloud data, so you can access it at your convenience. Cloud-based services are often attractive because the hardware of the system is managed by the cloud service provider. Many companies over the past decade have moved much of their data and services to cloud-based as pricing for such services have reduced. However, cloud options can have drawbacks. Cost: The convenience of having the cloud service provider manage the solution can come at a premium, especially cloud solutions that are still emerging. Generally, the more mature the cloud solution the lower the cost as more users leverage the solution. For some applications, onsite solutions can cost much less than the cloud alternative. Security: When choosing a cloud-based solution you are also adopting their cloud security measures. Some cloud solutions like Office 365 have robust security protocols, however, some may not. For various business reasons, some cloud-based solutions do not have robust security protocols. In a recent survey of 1,200 global organizations, 83% wrongly assumed cloud firms are responsible for data protection. Additional 69% thought they could transfer all responsibility for data protection, privacy, and compliance to the provider. Are you concerned about the security of your company’s information? Click Here to schedule a consultation with a Ray Morgan Company Virtual Chief Information Office (vCIO). Why is the Term “Cloud” Used? There is both a literal and figurative meaning here. Have you ever laid down in the grass, and looked up at the clouds in the sky? Oh, look, an elephant! A boat! Oh nice, a dinosaur! But the person next to you may not see the same shapes. They may see a sandwich, a skyscraper or an airplane in the clouds instead. The possibilities are almost endless, and not everyone has the same vision. Cloud technology is similar, offering a plethora of possibilities to help support and scale your business when internet available. Also, clouds are generally always above us. Just head on up and grab whatever you need on-demand. The sky is always accessible. You’re on a deadline and a client is getting antsy, or you’re putting the finishing touches on a sales presentation. Suddenly, a vital piece of technology goes haywire. What do you do? Call the software maker? The hardware manufacturer? Do you try Google for an answer? 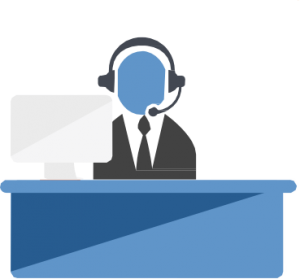 Located in the U.S. and staffed by knowledgeable and well-trained IT customer-care specialists, our IT Help Desk is ready and available to quickly address your needs. Whether it’s a device, a software issue, or a problem with your network, our team will work with you until a solution is found. From the moment your call is answered, you’ll know you’ve got the right person on the line and that you’re our top priority. So go ahead. Put your frustrations on hold … and bring your technical problems to us! Let our help desk experts handle your technology questions. RMC Employee Spotlight: John Luaces Completes the 123rd Boston Marathon!